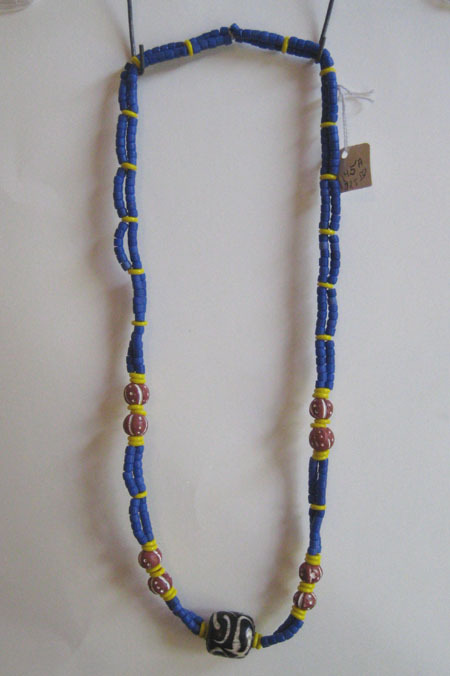 African Chevron beads in two strands. 1. is on the left. It is 20 inches of beads on twine. 2. is on the right and is 22.5 inches of beads on twine. 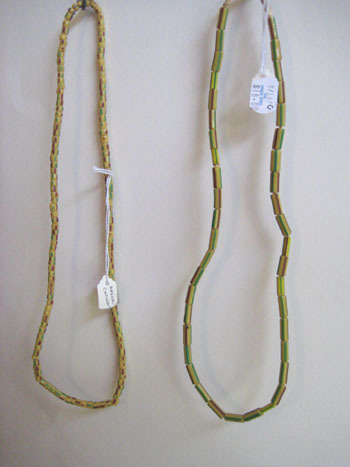 There are two different beads in this strand.